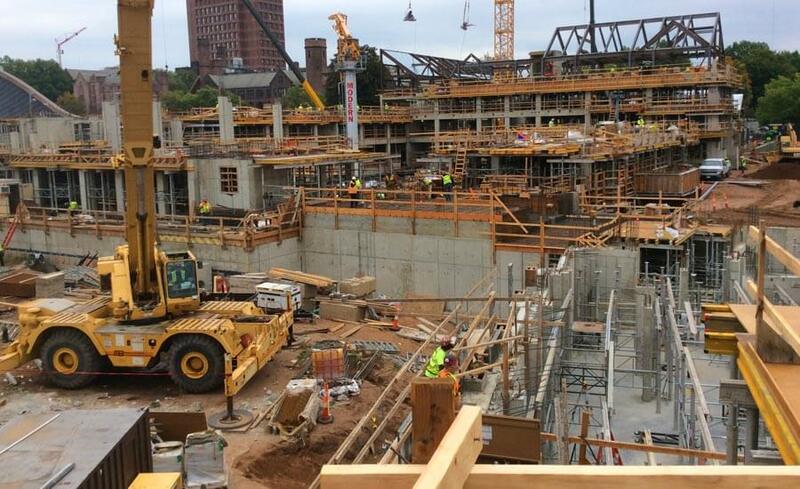 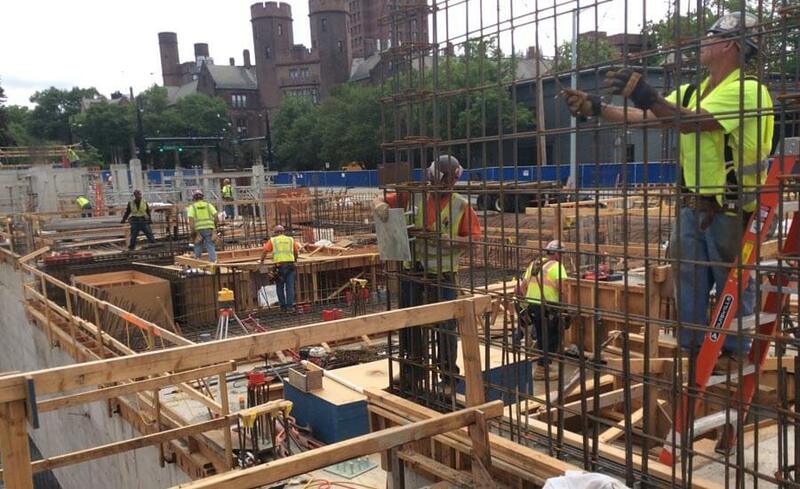 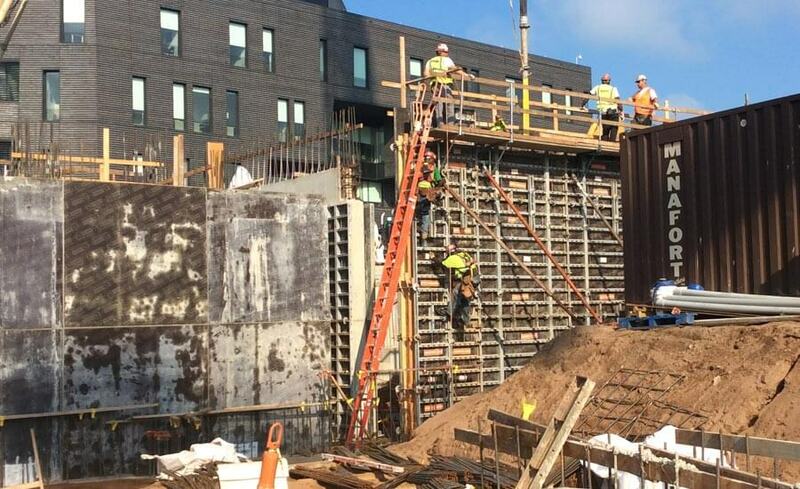 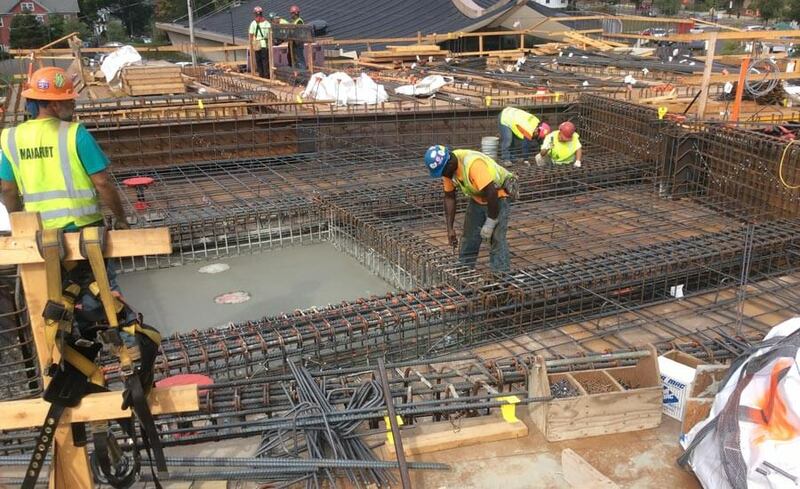 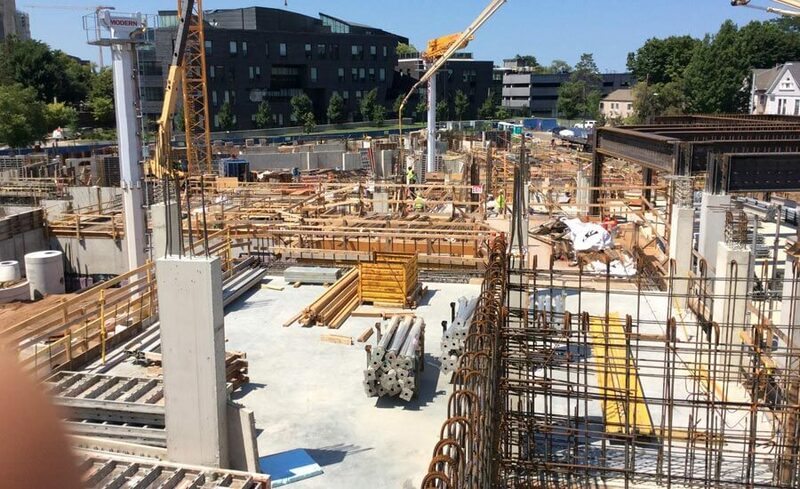 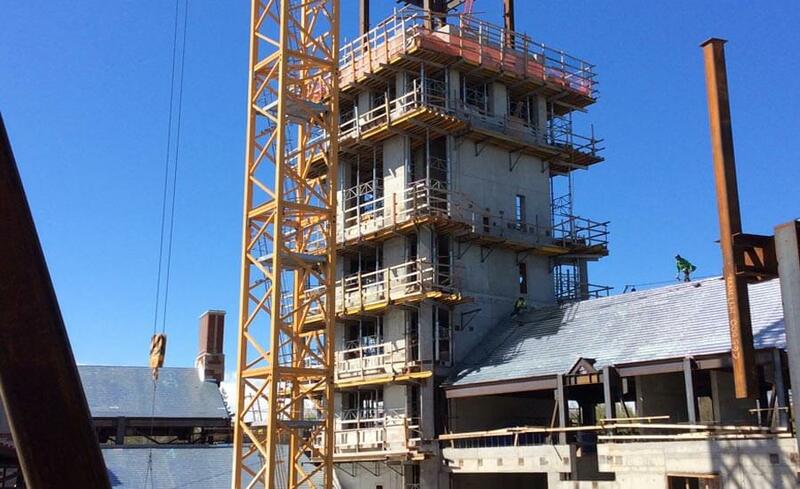 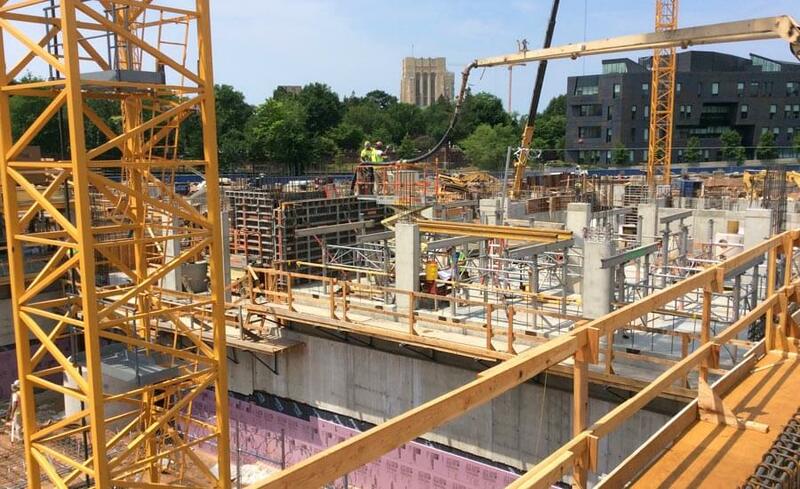 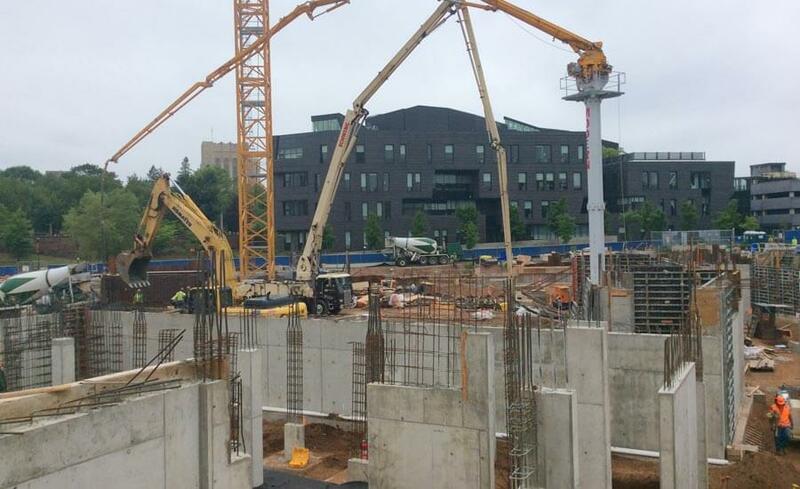 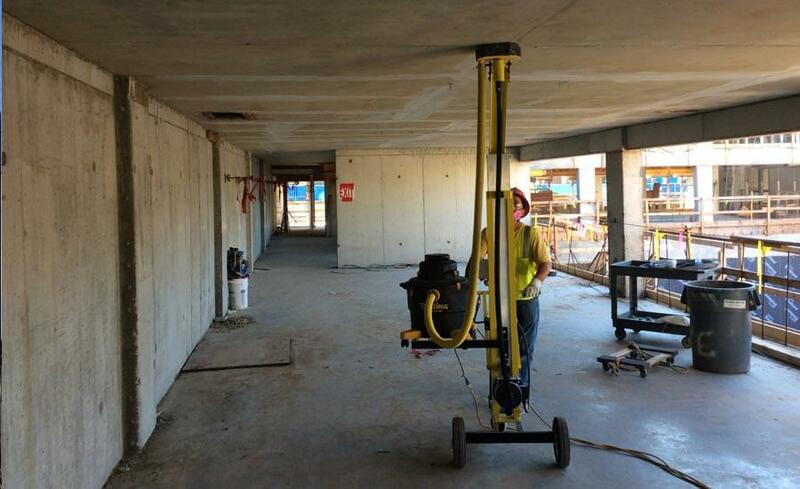 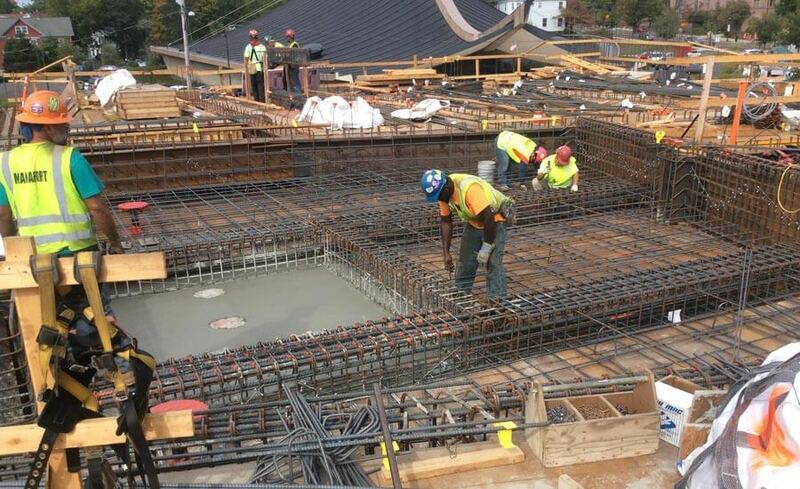 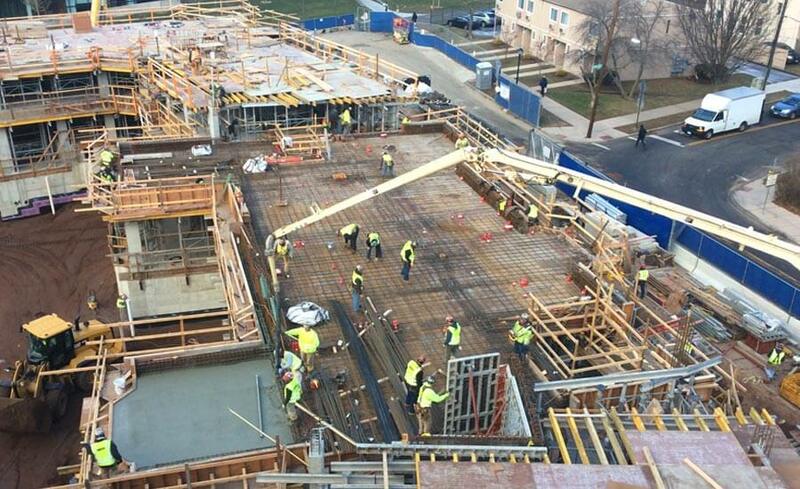 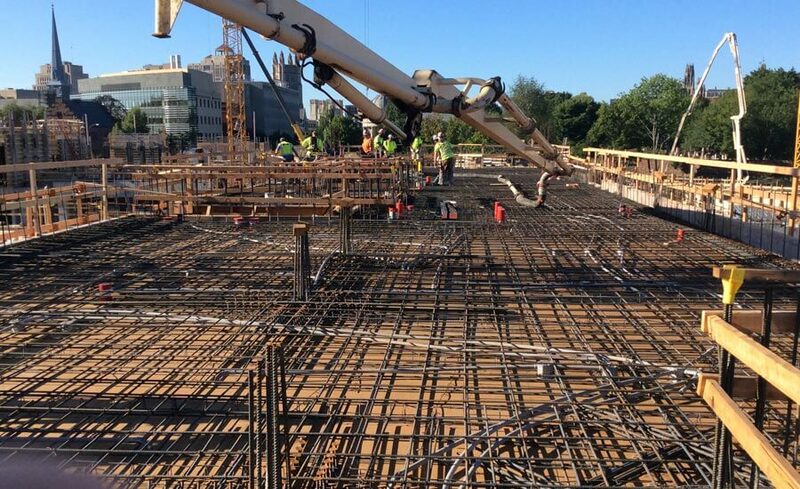 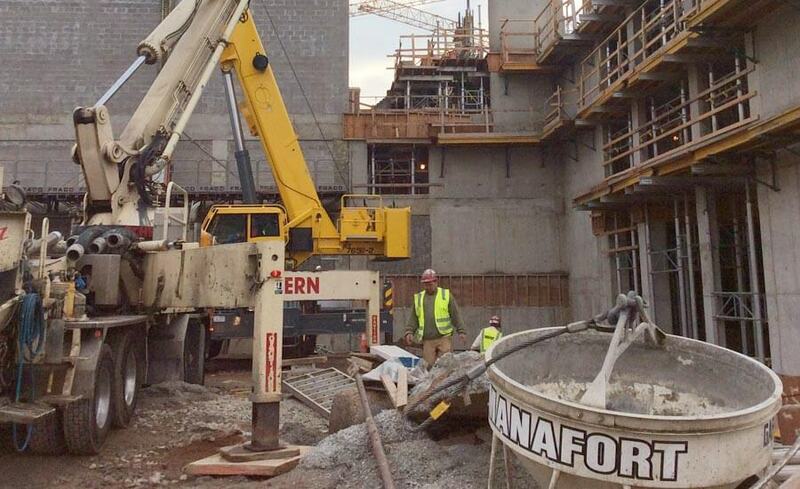 Yale University - Pauli Murry and Benjamin Franklin Colleges - Manafort Brothers Inc.
Manafort Brothers Incorporated was selected to perform Foundation and Structural Concrete work for the New Residential Colleges, Pauli Murray and Benjamin Franklin, at Yale University in New Haven, CT. 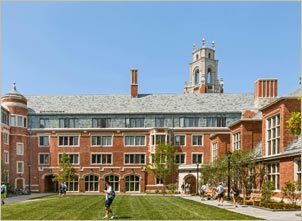 These Collegiate Gothic structures encompassing approximately 530,000 sf and housing 800 students were designed by Robert A.M. Stern Architects with the intent of carrying forward the spirit of Yale’s existing residential colleges. 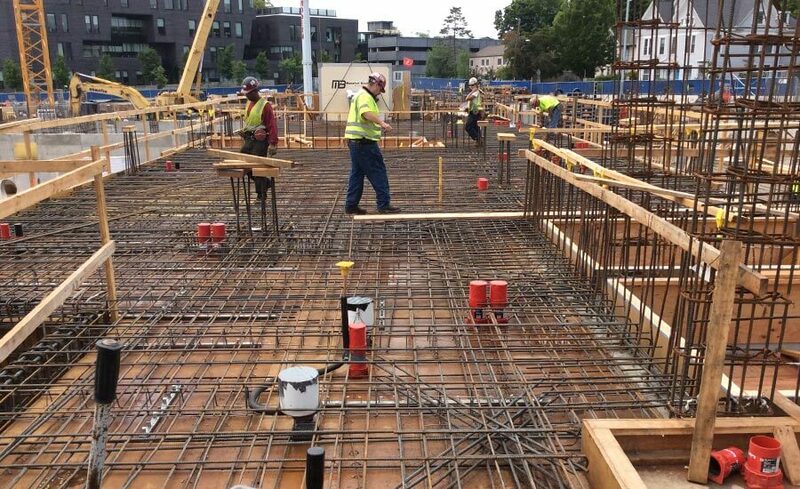 The buildings Architecture combined with the non rectangular property footprint resulted in a Cast in Place Concrete Building with many angular and very little repetitive features. 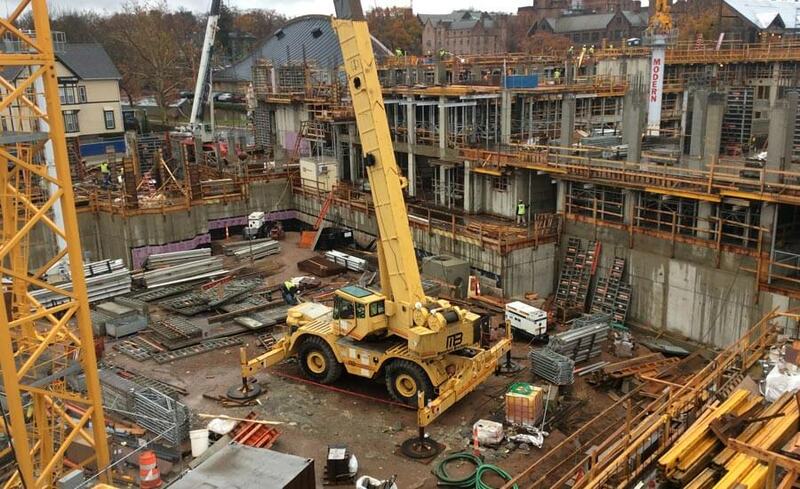 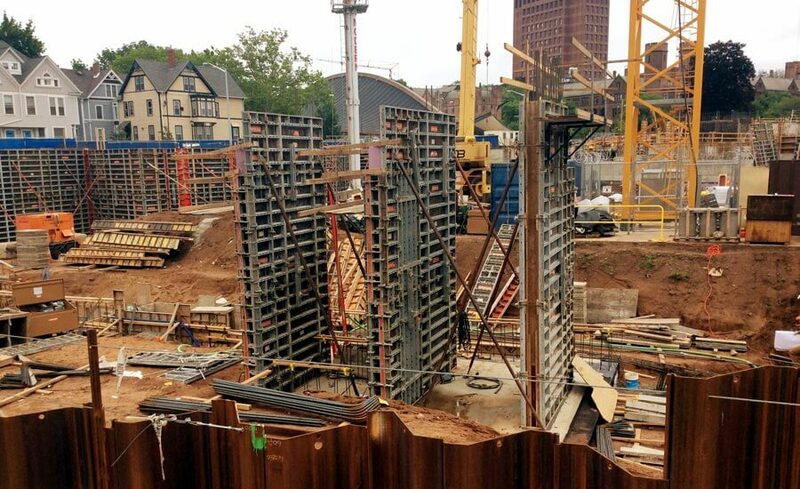 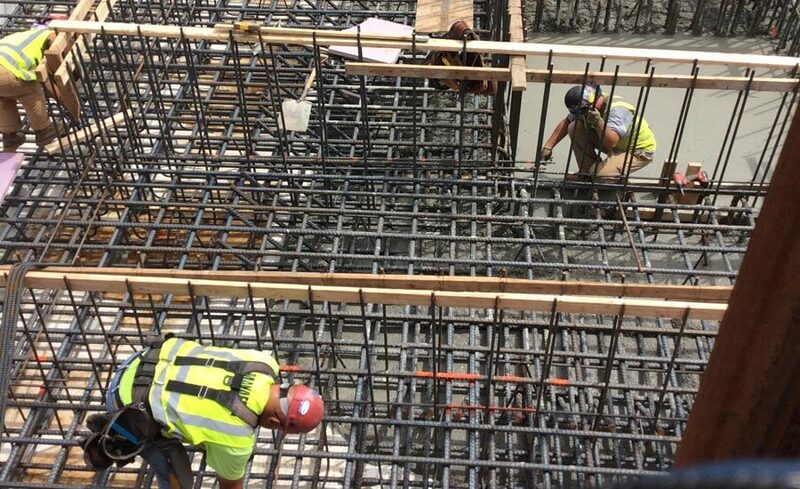 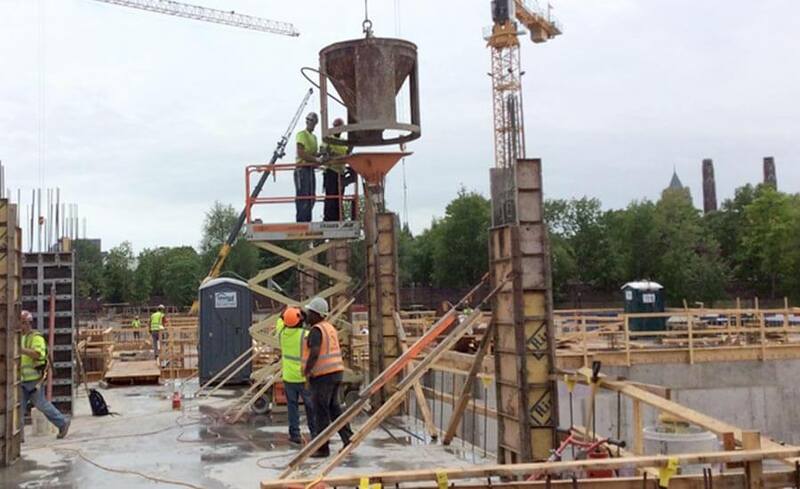 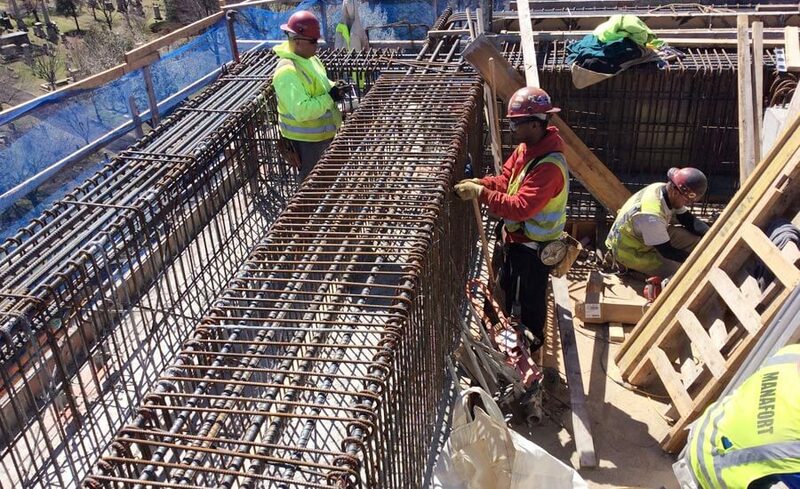 Manafort's work required approximately 20,000 cy of concrete and 2000 tons of reinforcing steel and Manafort worked extensively with Yale University and the Project Construction and Design Teams to successfully construct their vision. 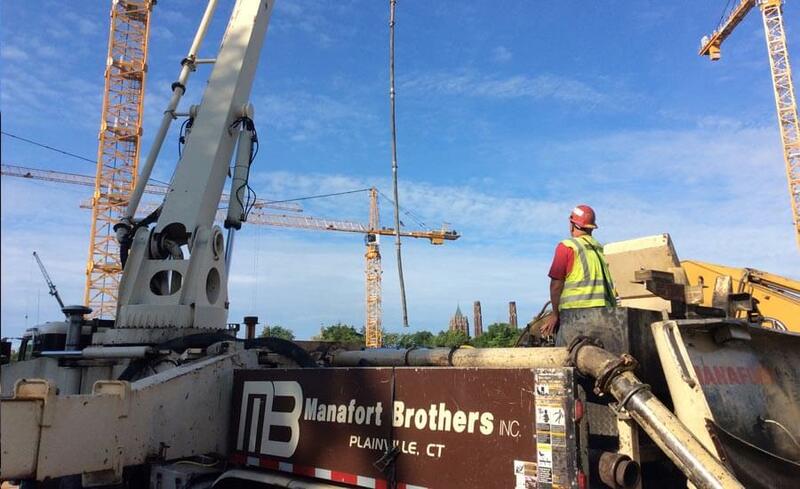 Manafort self-performed all of it’s scope of work while also working closely with the entire project team under a very aggressive project schedule to coordinate and support a safe, successful, and on time completion of this very challenging project.